Just Because Someone Else is Selling It, Doesn’t Mean You Can! 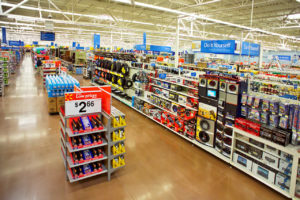 We get a lot of product requests here at WorldwideBrands.com, where our members are asking for brands and products that our Directory currently doesn’t offer. We love these requests, because we base most of our supplier research on our member submissions. Well, sorry to say, but just because YourB1gBoxStore is selling it, doesn’t mean you can too! Many brands place restrictions on their products and one of the main reasons is to deter against counterfeit products. So many brands will only allow certain retailers to sell certain products, or they set their minimums so high and require you to stock your own inventory that many small business retailers cannot meet those requirements. This keeps products from being oversaturated and helps keep the number of retailers down so that the brand companies can track for counterfeits or fake/fraud retailers. Even though we keep in contact with these companies to check if their wholesale policies change, after over a decade they haven’t changed, so why should these brand companies stop doing what is already working for them? So, as a result, we only list companies that offer products to online retailers and that meet our requirements for inclusion in our Directory of Certified Wholesalers. Our daily job is finding companies that will work with online retailers, will dropship or that keep their minimums low enough that small business owners can purchase inventory without too much overhead cost. So if a company doesn’t allow just anyone to resell their products, we can’t list them in our Directory. If a company has minimum orders in the thousands, we cannot list them in our Directory. If a company will only work with brick and mortar stores, we cannot list them. So yes, we face challenges as well as our members! What do you do if you had your heart set on selling a brand that doesn’t want to work with you? Chose other products to sell! With over 8000 wholesale suppliers in our Directory that represent more than 15 million product types and almost 30,000 brands, there are many suppliers that you can work with to resell their products. It’s perfectly OK to sell products that don’t have massive brand appeal. Consider this, if the product wasn’t selling, why does the manufacturer continue to make it? Manufacturers wouldn’t continue paying all the expenses to make a product if it wasn’t moving off the shelves. That’s not good business sense. The last time you shopped in a brick and mortar retail store or online, how many of those products were large well-known brands? More often than not, they are lesser known brands or brands that you have never even heard of before. It’s extremely important to perform market research on what to sell and be open to selling brands that are not large well-known brand names and to create niche sites so that you can easily SEO your site and advertise for it without paying enormous ad fees. You can bet that big retailers perform market research all the time before offering a product on their shelves. They don’t want to commit to purchasing thousands of dollars in inventory if the product won’t sell and is taking up valuable shelf space. You are no different in this. Just because you sell online versus a brick and mortar store, the basics of selling products is still the same, regardless of WHERE you are selling it. Market research, research and research! Find holes and fill them! This entry was posted on Friday, July 8th, 2016 at 3:17 pm	and is filed under Online Business, What's New. You can follow any responses to this entry through the RSS 2.0 feed. You can leave a response, or trackback from your own site. What great info, if we just keep it simple it will work. We are looking forward to our venture (adventure) into the E-Commerce world. Thank you and keep up the good work..
One Response to Just Because Someone Else is Selling It, Doesn’t Mean You Can!